The first race of the 2016 London Park Race series takes place on Tuesday 17 May 2016 on the Ham Estate, north of Kingston. 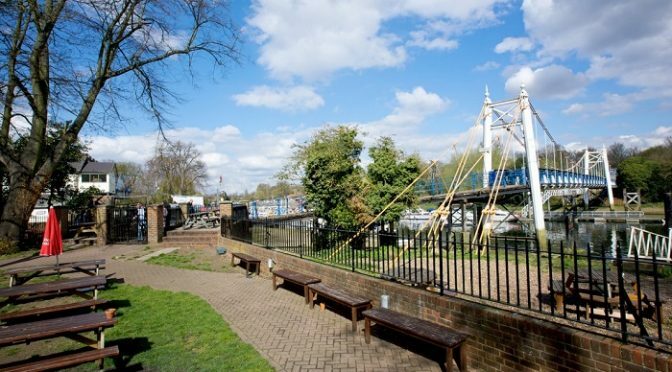 Please note that the base for the race is on the Teddington side of the River Thames at The Anglers – the two sides are joined by a footbridge over the weir. Like all races in the series, the race is suitable for beginners. Full leg cover is not necessary; running in a T-shirt, shorts and trainers will be fine. The event centre is at The Anglers, 3 Broom Rd, Teddington TW11 9NR. Teddington station is about a 12 minute walk away, and is served regularly by trains from Waterloo (33 minutes for the faster service) and Clapham Junction. Buses 281 and 285 connect Teddington and Hampton Wick stations with Teddington Lock (by the pub). Bus R68 also runs from York Street, Twickenham. Please pre-order food if you wish to eat. The pub has a great garden and serves a great range of food. Given the number of competitors, we have been asked to pre-order food by Thursday 12 May. Please email your order to Steven Clelland at . If you have any questions not addressed above, please email the organiser Steven at .